"The Silva Method training will help you to use your natural inborn talents and abilities to create a better You and a better world for all beings." The Silva Method is a proven method of learning how to function at the alpha brain wave level. The training consists of simple guided meditations that teach you how to relax the body, which enables the mind to relax and reach a state of relaxed alertness. The Silva Method outperforms standard meditation for it is a proven way of using your mind to trigger more intelligence than you’ve ever thought possible. Transform your daily life, to be stress–free, relaxed, energised and motivated. You’ll learn how to function at the Alpha level of consciousness and reprogram your mind with a positive attitude to achieve your goals. You will become more creative, energised and motivated. Your confidence in your abilities will increase, helping you to create that happy, healthy and vibrant lifestyle that you’ve always desired. "The Greatest Discovery you'll ever make with the Silva Method is the Infinite potential of your Mind." 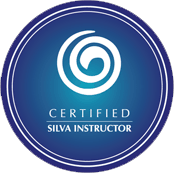 The Silva Life System is the basic foundation course. The techniques will unleash the infinite power of your mind as you embark on this journey of self-discovery . Acquiring the ability to function consciously at the Alpha level will enhance and strengthen your ability to relax at will. Focus, concentration, creativity and the zest to live a happy productive life will be the results of this amazing process. The techniques in this advanced training will spark your natural intuitive abilities and further develop them to trigger your inner wisdom to gain accurate guidance and inspiration. Intuition is a natural ability everyone is born with, yet remains dormant for most people. The Silva mental training will activate your Intuition to guide you to finding your unique life purpose. By the end of this training you will be able to function at the alpha level with ease. Only for Silva Life System graduates. "I've used the Silva Method for many years. It helped me to overcome my own illnesses. I urge you to attend Mr. Silva's training sessions that are presented around the world." "By offering the Silva Method to our employees we provide an opportunity to experience for themselves the power of the mind. Silva demonstrates that there is no limit to what the mind can do." Former president and CEO of Green Mountain Coffee Roasters and Forbes Magazine 2001 Entrepreneur of the Year. "I feel confident that many of the methods, as taught by Silva International, can stimulate gene expression in the brain that are involved in reducing physical and psychological stress and boosting immune functioning." "Creative visualization is really what's behind the Silva Method; that is, whatever you can visualize, you can actualize." "The Silva Method is one of the most powerful single tools that I have to offer the patient." Founder of the Simonton Research Institute, award winning specialist and pioneer in imagery therapy. For Shakti Gawain The Silva Method inspired her best-selling book, Creative Visualisation. She says this program allows you to "tap into a deep storehouse of knowledge and wisdom."